We procure Tablet PC from reliable vendors who provide quality approved Tablet ensuring the best quality. Our PC is manufactured using the latest technology by experienced engineers. High performance and longer working life are some of the main features of our Tablet. 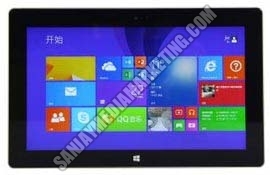 We can also provide customized Tablet PC as per the requirement of different buyers. One can avail Tablet from us in small as well as bulk quantities at reasonable prices.